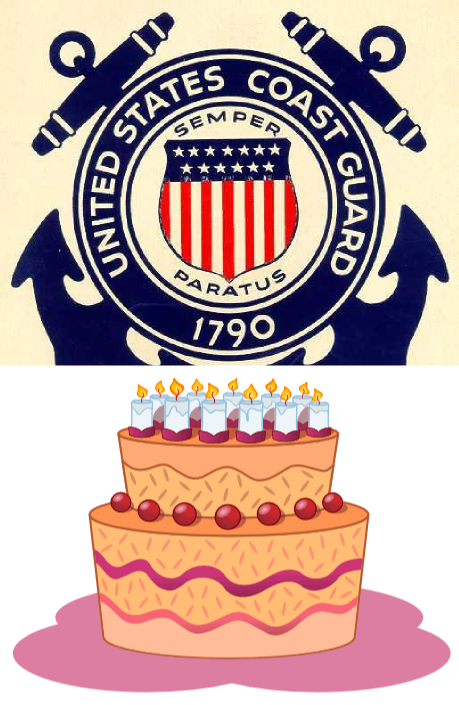 Happy 220th Birthday to the Coast Guard! Today marks the 220th anniversary of the United States Coast Guard. It was on this day in 1790 that Secretary of the Treasury Alexander Hamilton established the Revenue Cutter Service to intercept smugglers. Thus began the origins of the Coast Guard we know today, and the law enforcement mission of the U.S. Coast Guard. So to all members of the Coast Guard past & present, thank you for your service & continued dedication to the mission and values of the United States Coast Guard.